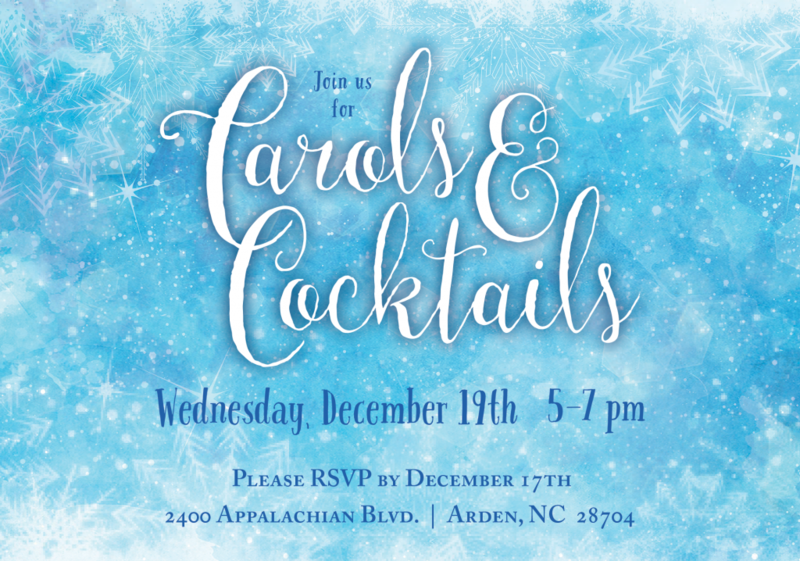 Join us for an evening of live music and caroling, complete with holiday-themed cocktails. Mingle with residents and enjoy hors d’oeuvres prepared by Ardenwoods chefs. Cocktail attire. RSVP by December 14 by calling 828-684-7330 or by filling out the form below.